Practice limited to treatment of carotid artery disease and aortic aneurysm including the less invasive stent-graft repair. 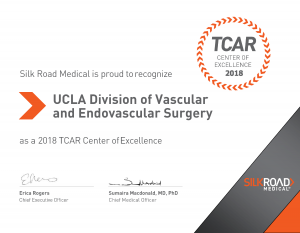 I am pleased to announce that the Division of Vascular and Endovascular Surgery at UCLA has successfully completed a clinical trial and is now offering a new and less invasive approach to treatment of carotid artery disease as a means of stroke prevention. The traditional approach for managing disease of the carotid bifurcation has been carotid endarterectomy(CEA). This continues to be an excellent and proven treatment. 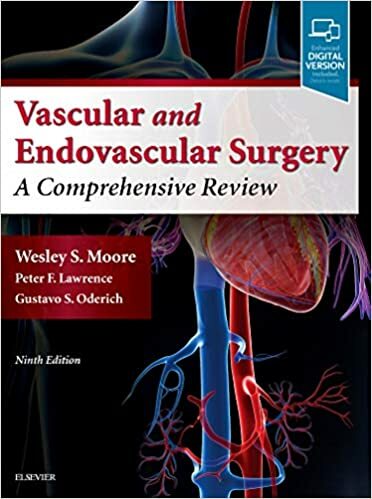 Prior attempts to provide a less invasive alternative to CEA have utilized carotid artery stenting via the femoral artery in the leg(CAS). Unfortunately clinical trials have shown that CAS carries twice the risk of stroke/death when compared to CEA. Several recent trials using the new approach of direct carotid stent angioplasty with temporary flow reversal(TCAR) have demonstrated results that are equally as good as CEA and have the advantage of being less invasive(see fig 1and animation). This has led to the approval of this procedure by the United States Food and Drug Administration(FDA). Should you have a patient that you would like us to consider for this trial, please contact me or our study coordinator, Kathleen Land R.N. at 310-206-1115. We look forward to working with you.